The Irish American Partnership supports education and community development programs across Ireland, North and South. The Irish American Partnership ensures Irish children have the educational resources they need to thrive. Only 11 km off the coast of Connemara lies the island of Inishbofin, a stunning seafaring community with a single primary school, a church, two pubs, and a handful of seasonal hotels. Dotted with Iron Age forts, medieval monasteries, and sandy white beaches, Inishbofin has long been a popular destination for those seeking a bit of adventure. Yet, for the 180 year-long inhabitants, life can be lonely and difficult. 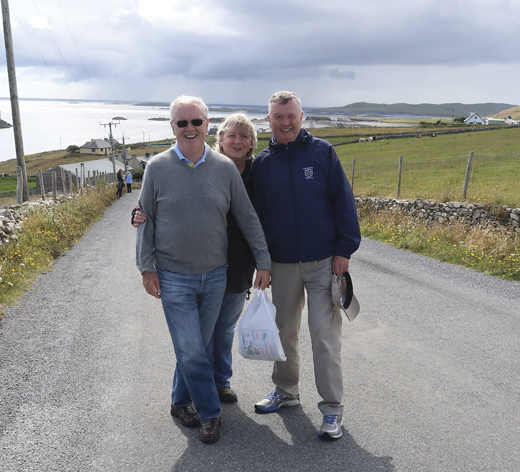 For Michael T. Clune and his children, Inishbofin represents nearly 100 years of philanthropic commitment to a community that has profoundly impacted their lives. The association began with Clune’s grandfather, Michael J. Clune, who served as Postmaster of Clifden, Co. Galway from 1923-1935. Every time the postmaster visited Inishbofin, he grew more inspired by its hardworking people and more determined to give them as much as he could. He passed this legacy of commitment and love to his son, Michael A. Clune (known as Melice), who later took his own family with him on visits to the island. Melice and his wife May, enchanted by the warm hospitality of the Bofin people, made lifelong friends, organized Christmas food drops and later launched the Diving Centre, which became a valuable source of tourism for Inishbofin. Over time, the name Clune became synonymous with generosity on the island. Map showing the schools that have benefited from Partnership programs. Melice and May’s son, Michael T., remembers the appreciation of the Bofin people and resolved to continue his family’s generosity at a young age. And he has – Michael T. Clune is now chairman of the Irish American Partnership, another name known for its philanthropy across the island of Ireland. The Irish American Partnership reflects both the kindness of the Clune family and the splendid tradition of Ireland’s generosity, unique among the nations of the world. The organization, with its focus on education and economic development, grew to prominence amidst the turmoil of the Troubles. Founded in 1987 by a group of Irish and Irish-American leaders, the Partnership has since sent over $30 million dollars to Ireland, North and South, funding over 500 schools. Originally seed-funded by the Irish government and philanthropist Chuck Feeney, and endorsed by Speaker of the House Tip O’Neill, the Partnership provided an avenue for a growing diaspora to engage with Ireland in an accessible way. Under its first president, Joseph F. Leary Jr., the Partnership grew its membership and gained a favorable reputation across Ireland. President Leary became known for personally delivering grants to Northern Irish schools – risking his own safety to acquire a deeper understanding of the needs of these schools and their hopes for the future. This demonstration of solidarity, paired with his willingness to talk to people on all sides of the conflict, won him the trust of both communities. President Leary’s unwavering commitment to the next generation forms the basis for the Partnership’s current activities today. Michael T. Clune and his family on Inishbofin. 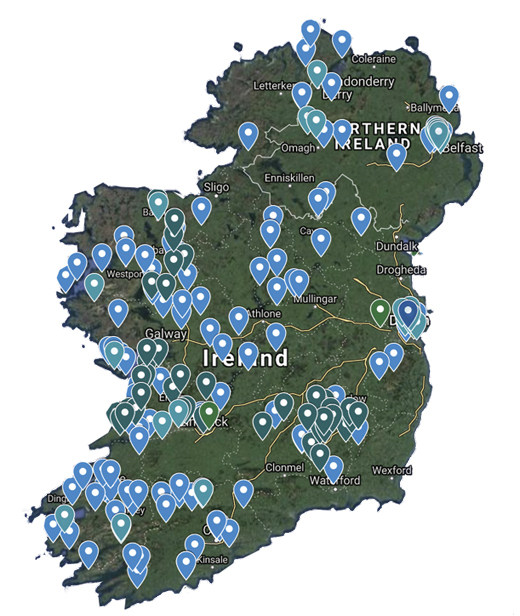 The Partnership’s Direct Grants to Primary Schools program encourages members of the Irish diaspora to honor their heritage by giving back to the very schools and communities that shaped their ancestors and contributed to their own success. Donors can select a specific school, town, village, county, or community initiative to fund, allowing them to make a contribution with a deeper, personal meaning behind it. Stuents demonstrate their project at the RDS Primary Science Fair in Belfast, sponsored by the Irish American Partnership. Nearly half of the schools that the Partnership supports are rural schools with under 100 students. Irish primary schools (also called national schools) have been operating on reduced budgets since the 2008, when austerity measures were introduced. Ten years later, Irish education budgets have not yet reached pre-austerity levels. Ireland’s education system has greatly suffered from these budget cuts, forcing schools to increase class sizes, cut teachers, and make do with their existing resources. This leaves no funds for integrating technology into the classroom or even for purchasing science materials. 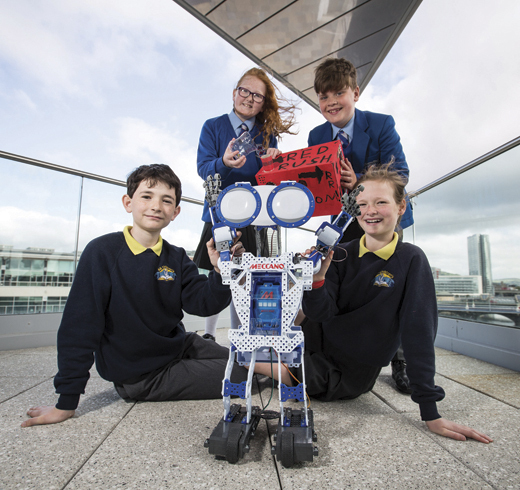 Since two of Ireland’s largest educational priorities are development of STEM (Science, Technology, Engineering, Mathematics) subjects and improvements in literacy, the Partnership provides grants directly to schools to help them buy science materials and build their libraries. General P.X. Kelley, USMC (Ret. 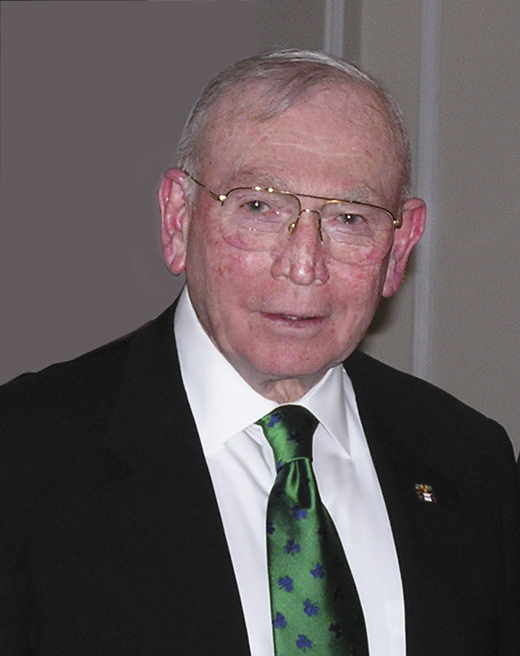 ), former commandant of the U.S. Marine Corps and Chairman Emeritus of the Irish American Partnership’s board of directors gives back to his mother’s native Cork City with an endowed scholarship. Irish American Partnership board member Dave Greaney gives back to his former secondary school, St. Nessan’s (now known as Thomond Community College), by funding academic achievement awards for 20 students annually. The Greaney Family Scholarship promotes academic achievement at Thomond by rewarding the top-performing students with cash scholarships. Thomond Community College is a secondary school located in Moylish, a disadvantaged area of Limerick City, and caters to a low-income student population. The impact of these scholarships has already been transformative; as soon as the program was announced, students were lining up to enter the library after school to complete their assignments. It has provided a tangible reward for academic achievement that incentivizes all students to reach their full potential. 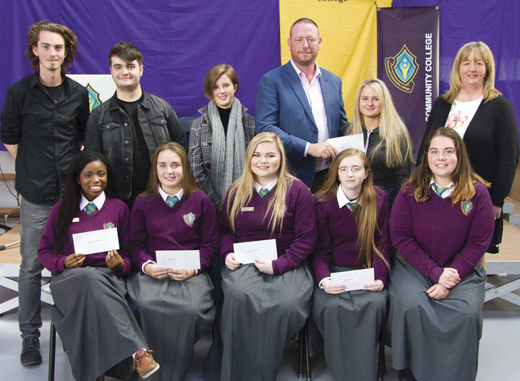 Partnership board member Dave Greaney (pictured with students) gives back to his former secondary school, St. Nessan’s (now known as Thomond Community College), by funding academic achievement awards for 20 students annually. General P.X. Kelley, former commandant of the U.S. Marine Corps and Chairman Emeritus of the Irish American Partnership’s Board of Directors, sought to honor his Irish roots by giving back to a place his mother held dear. Inspired by her fond recollection of the Shandon Bells ringing as she played in the schoolyard, General Kelley established the Kelley Family Endowed Scholarship to provide resources to five primary schools in Cork City in perpetuity. The schools rotate, but all are within earshot of the famed bells – the same bells of his childhood stories. The ability to give students in his mother’s hometown a great education, and with it the opportunity to stay, live, and work in Cork, is a profound way to connect with his Irish heritage and honor his mother’s sacrifice. Students from Scoil Naomh Gobnait, Dungarvan, Waterford, show off their new books purchased with the Partnership grant. No school demonstrates this better than Inishbofin National School. The only primary school left on the island, it is the glue that binds the community together. One does not have to look far to see how easy it would be for the island to lose its inhabitants to the pressures of modernity; neighboring Inishshark swiftly depopulated in 1961. Even on Inishbofin today, older students must make the arduous commute to Galway to attend secondary school – boarding with local families during the week and returning to the island each weekend. However, this is not feasible for young children. The absence of a primary school would force families off the island, risking its future. In this way, Inishbofin National School is not just a school – it is the lynchpin to this charming island’s survival. Chairman Michael T. Clune wanted to honor his family with a special gift to Inishbofin. In June 2016, Clune brought his children back to the island to pledge $25,000 to Inishbofin National School through the Direct Grants to Primary Schools program. As Michael T. Clune handed the check to his children to present to Inishbofin National School, he entrusted them with a family legacy that has endured nearly 100 years. Clune’s grant has been used to purchase iPads, computers, a telescope, and a weather station for the school, connecting students to the outside world. While new technology may seem frivolous in this rugged, rocky environment, it is paramount for keeping students competitive in the modern economy. With the decline of fishing as a source of livelihood, islanders need new ways to survive. They hope that their children will harness their technological skills to stay and make a living in this tightknit community – blending the benefits of modernity with the character of small town life. However, this cannot be achieved without a strong foundation in STEM at their local primary school. 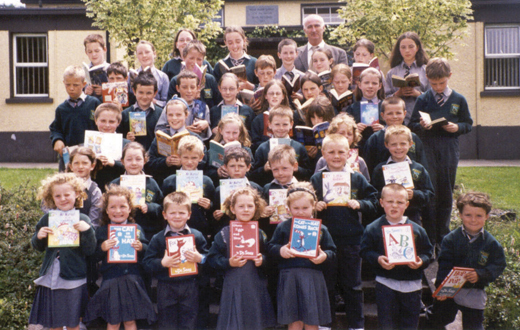 Grant recipient Drumgallagh National School, located in Ballycroy, Co. Mayo. Drumgallagh used the Partnership grant to purchase new books for its 26 students.